With free stained glass patterns, it's easy to create beautiful Thanksgiving decorations for you home. Your stained glass creations can also be given as gifts to friends and family or sold at craft fairs to generate extra income. 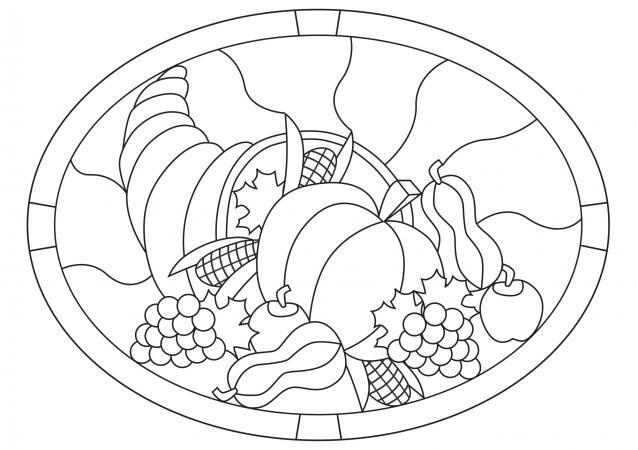 The following stained glass patterns provide a frugal and convenient way to begin your Thanksgiving-themed project. Simply choose the pattern you want, click on the image, and save the file to an appropriate location on your computer. Open the PDF file using Adobe Reader and proceed to print the pattern on the paper of your choice. 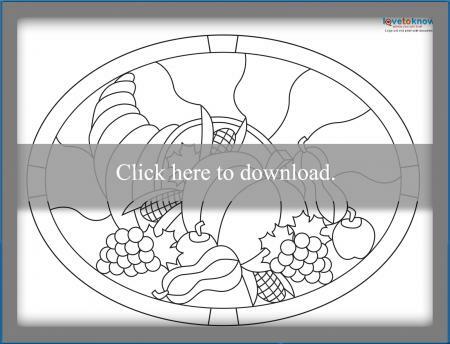 Download this cornucopia stained glass pattern. 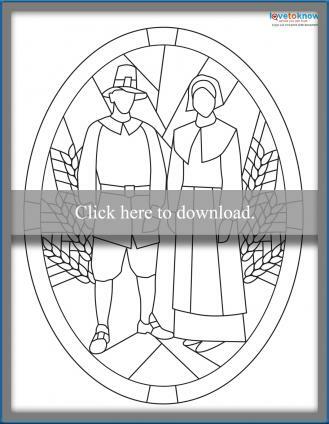 Download this pilgrim stained glass pattern. 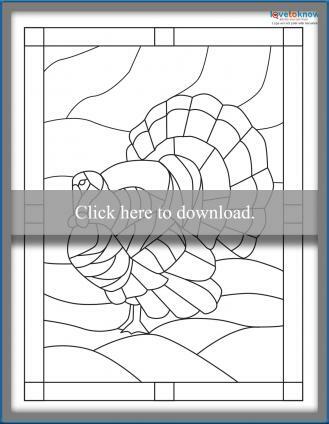 Download this turkey stained glass pattern. When using your pattern you will need at least two copies of the image. The first copy should be used for numbering each piece and noting factors such as the color of the glass and the grain direction you want each piece to have. This is essentially your road map for your project. The second pattern will be transferred to tagboard, transparency film, or contact paper using carbon paper. Alternatively, if your printer allows the use of thicker papers, you can try printing directly onto these materials. This pattern will be cut and used to prepare each individual piece of glass. Use a ruler and craft knife or scissors suitable for detailed cutting. If you are worried about leaving enough space for the pattern pieces to be joined together, you can cut the pieces with pattern shears designed for foil, lead, or mosaic stained glass projects. If you need assistance transferring your pattern to your glass, Inland Craft has a detailed guide explaining the process. Assorted Thanksgiving Patterns: Free Patterns for Stained Glass has a large assortment of Thanksgiving patterns, including acorns, pumpkins, turkeys, fall leaves, and a wreath. Simple Turkey Pattern: Visit Stallings Stained Glass to download a very basic turkey pattern that would be suitable for a beginner level project. Turkey Lamp Pattern: Delphi Glass has a pattern that can be used to make a stained glass turkey lamp for Thanksgiving. Leaf and Acorn Pattern: This leaf and acorn design will lend a sophisticated look to your Thanksgiving decor. Pilgrim Squirrel Pattern: If you're looking for a whimsical holiday design, you'll love this squirrel dressed as a pilgrim. This pattern is provided by Alpine Holiday Glass. Using free patterns is an excellent way to start making stained glass crafts, even if you're relatively new to this exciting hobby. Over time, you can create a collection of lovely handmade Thanksgiving decorations.